From Julianne Moore’s Best-Selling children’s book series Freckleface Strawberry (illustrated by LeUyen Pham) comes a new app featuring the freckled and red-haired 7-year old girl. 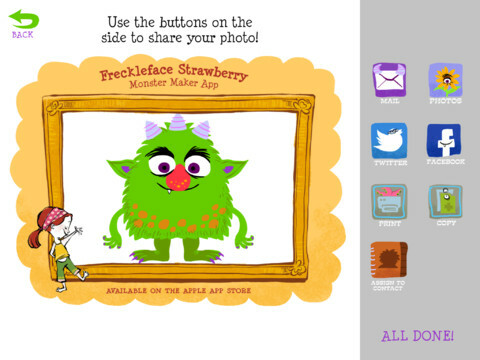 • Interact with Freckleface Strawberry as she tells a story about her favorite game: Monster! is this app available for android devices? Unfortunately it’s only available for iPad and iPad Mini, but follow @realfreckleface on Twitter to receive updates.